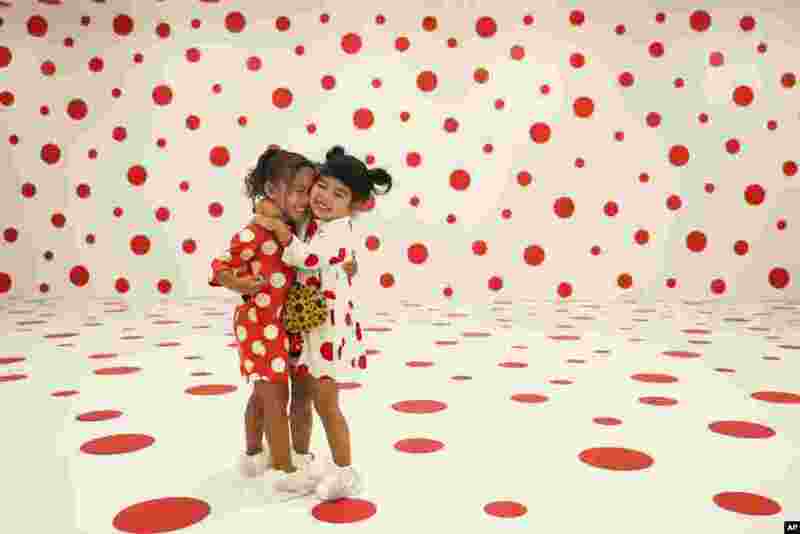 ١ Wearing matching dresses, Takara Thomas, 3, left, and Noemi Vega, 4, hug in a polka-dotted room created by Japanese artist Yayoi Kusama, part of the installation called "With All My Love for the Tulips, I Pray Forever" at the Marciano Art Foundation in Los Angeles. ٢ A child cools off in a fountain as a summer heatwave with high temperatures continues in Paris, France. 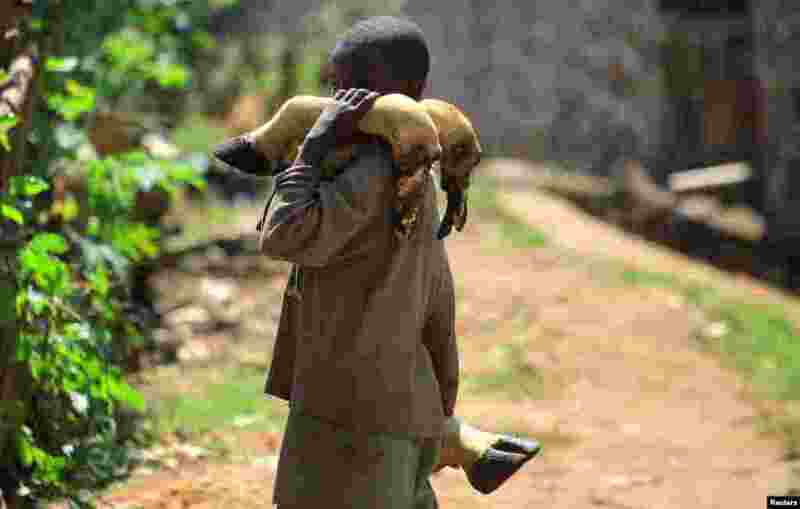 ٣ A boy carries cow hooves from a slaughter house in the town of Beni in North Kivu province of the Democratic Republic of Congo, August 2, 2018. ٤ A press conference by opposition leader Nelson Chamisa gets underway in Harare, Zimbabwe. 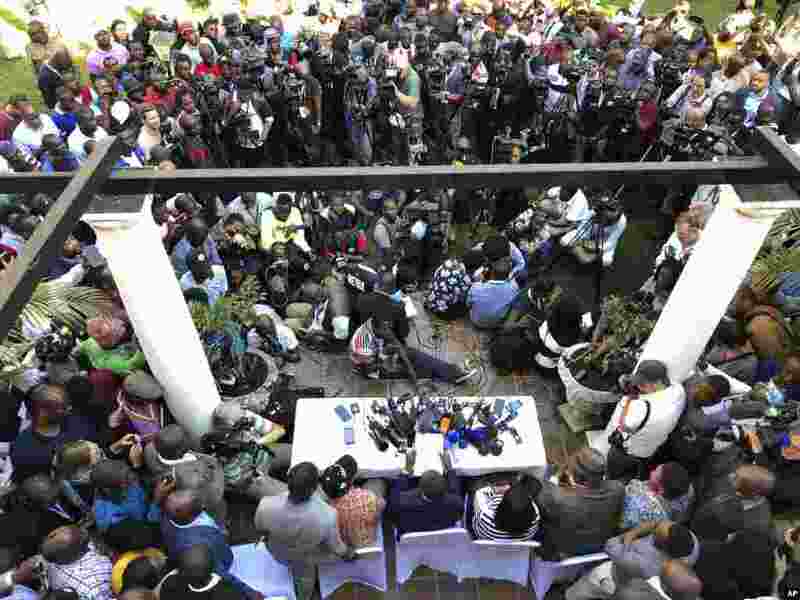 Hours after President Emmerson Mnangagwa was declared the winner of a tight election, riot police disrupted the press conference where opposition leader Nelson Chamisa was about to respond to the election results.